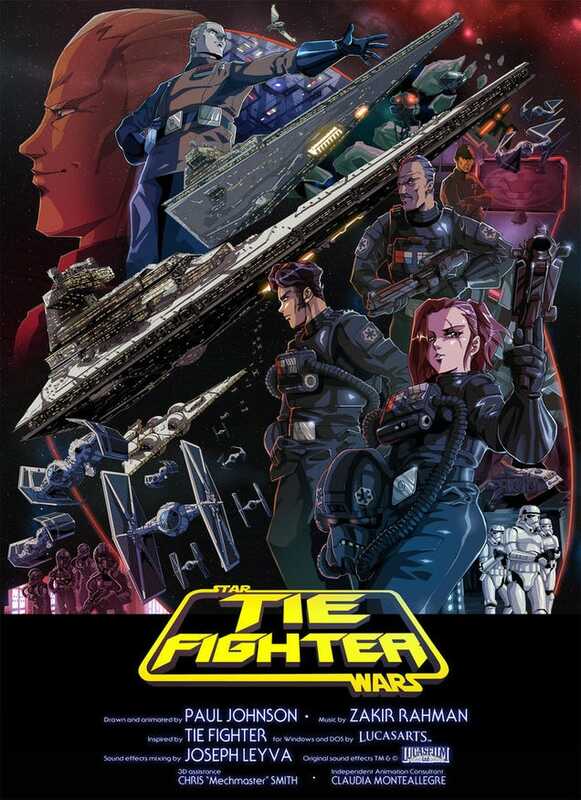 By now, you'll have surely seen that sweet Tie Fighter clip done in an anime style. 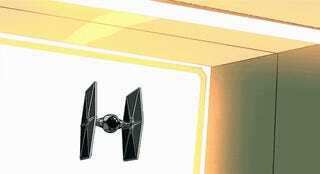 What I don't think is getting enough attention, though, is just how much the short owes to Lucasarts' 1994 video game Tie Fighter. The entire project is a homage to the game. From the name (the short is also called Tie Fighter) to the logo on the poster (which is also the game's logo) to design cues used throughout, it's one of the most laborious letters of love to a video game I've ever seen. You can see just how much work has gone into bringing the game to life in these documents prepared by the short's creator, Paul "OtaKing" Johnson, which explain some of the decisions made in designing the film, and how much care he took to "match the locations and mechanics of the 1994 Lucasarts Tie Fighter video game". And yes, it was entirely drawn and animated by one man. The whole thing, "over 4 years' worth of weekends". That's a lot of work over a lot of weekends. Click in the top-left of the image below to expand it and read the text, but fans of the old space shooter will already recognise the officer and art style of the mission briefing. This page, meanwhile, breaks down how the design of the cockpits in the short had to be heavily based on those in the game, since those are practically the only decent pics of the inside of a TIE Fighter's cockpit we've got. The clip itself is also full of smaller nods: head to 3:12, for example, and you can hear the game's dreaded "missile lock" sound. So, yeah! Enjoy the short as a Star Wars thing, sure, but if you're a fan of Tie Fighter the game hopefully you'll now appreciate it a little bit more!